With the outbreak of data and technology, healthcare facilities are now exchanging more electronic health information than ever before. With substantial growth in EHR adoption, these systems are facing several roadblocks with features that are not limited to just an organization’s own integrated healthcare delivery system. A value-based care solution, FIGmd, bridges this gap by empowering healthcare facilities to utilize EHR and registry data efficiently and solves the fundamental problems concerning electronic health information exchanges. The firm’s solution enables hospitals, health systems, and ACOs to consistently measure, monitor, improve, and report clinical quality across all domains within the entire health care arena. With a unique combination of technological innovation and industry expertise, the firm has developed breakthrough solutions that let healthcare facilities unleash the power of data with zero impact on workflow. In doing so, the company has developed the FIGmd platform that offers seamless, direct integration with more than 130 different EMR or EHR systems and related practice management systems. The platform operates regardless of the health record system a care provider has. The platform also has remote integration capabilities, is incredibly intuitive, requires no upfront training, and does not disrupt daily workflow. It’s an administrative tool for supervising clinical parameters that need to be measured. According to Baralay, to measure clinical quality, there has to be a benchmark that can be utilized to compare and contrast data from multiple clinicians in different healthcare settings, for improving clinical quality. FIGmd makes this possible by enabling extraction and comparison of information from various health IT systems and performs clinical quality measurement with a standardized benchmark. 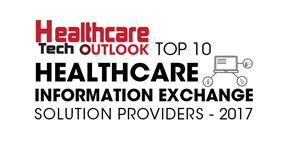 The experts at FIGmd have identified various concepts in multiple clinical topologies, and incorporated them into the information exchange technologies leveraged by healthcare facilities, to tailor the platform for efficient data exchange and comparison. “We assist EHR vendors better operate documentation systems, for improved decision making at the point of care. We also engage with life sciences companies to enable better identification of patient population for clinical trials,” says Sanket Baralay, president and CEO, FIGmd. Over the years, FIGmd has created a stellar reputation within the healthcare information exchange landscape with their innovative solutions and they have become the market leader in the clinical data registry space using this capability. While explaining the unique value proposition of FIGmd, Baralay recalls an interesting instance when the firm assisted American Academy of Ophthalmology, a society that has over 90 percent of ophthalmologists as members. The firm built and operated a registry called IRIS that comprises an inventory of clinical quality measures. When an ophthalmologist signs up, it integrates with their electronic health records and allows real-time data extraction and analysis of that data for cross-walking and normalization. Later the data can be ingested into that clinician system and can measure their clinical quality concerning IRIS specifications. Down the lane, the firm focuses on being a leader in the arena with a very successful track record. FIGmd also aims to explore and utilize the opportunities in the realm of enterprise-driven clinical quality measurement. “We anticipate having more innovations and expanding our footprint in the healthcare landscape with our value propositions and assist hospitals that have a more holistic, quality-focused approach within their organization. We are also in the process of improving the communication of comparison capability to other stake holders who are trying to solve the fundamental healthcare problems,” concludes Baralay.